I was last in Under Wonder around six years ago, just one year after it opened. I had good memories of the restaurant and couldn’t wait to return. On entering it didn’t seem much had changed. The owner was still sat at a table on the ground floor, working away on his laptop, just as he had been doing when I was last there. I recalled that the cosiest area was in the basement. Darya and I headed downstairs and was quite surprised to find a vacant table. Shortly after sitting, a charming waitress took our coats and brought us menus. 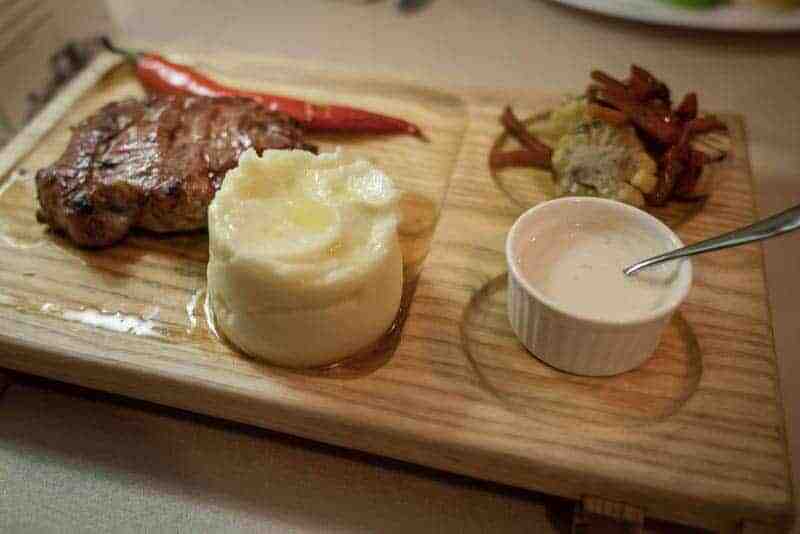 My first choice of duck fillet wasn’t available so I went for ribeye steak with mashed potato, roasted peppers and corn and a spicy cream sauce at 294 UAH. 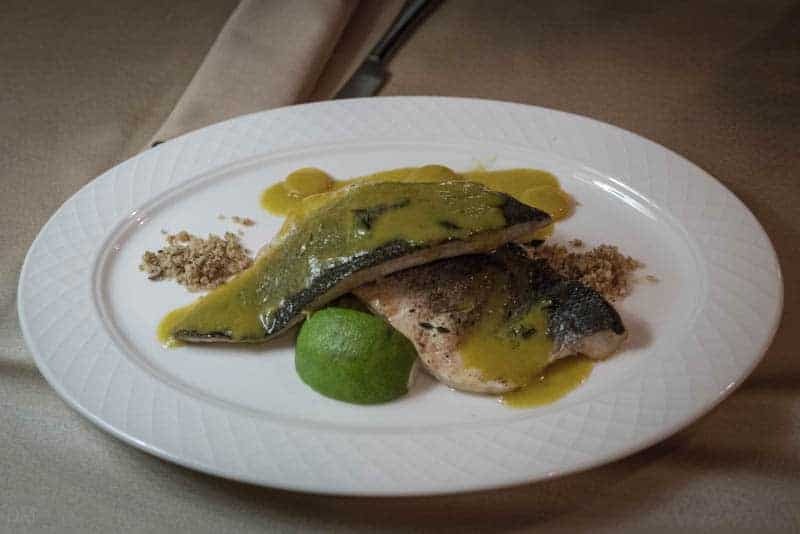 Darya chose sea bass fillet for 360 UAH. For drinks Darya had a glass of Montes Reserve Cabernet Sauvignon for 96 UAH while I, needing something warm inside me, opted for a warm red mulled wine with citrus and apples at 78 UAH. All the food and drink was perfect. My only minor complaint was that the steak was served on a wooden board. I’m not a fan of these and prefer plates. 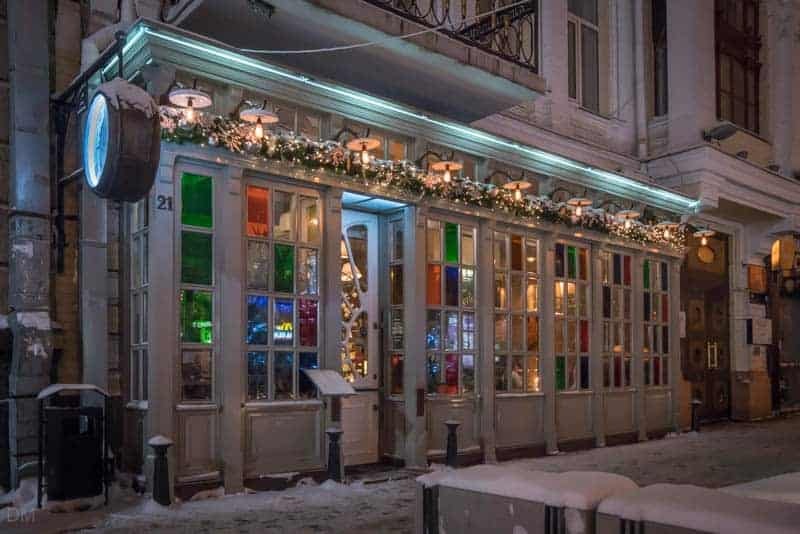 The restaurant is one of the best we have visited in Kiev and left a great impression. Staff speak perfect English and an English-language menu is available. The total bill for food and drink came to 894 UAH, not particularly cheap for Kiev but very affordable for those on a Western budget. Under Wonder enjoys a great location Velyka Vasylkivska Street in Kiev city centre. The closest Metro stations are Palats Sportu and Ploshcha Lva Tolstoho. The restaurant is open 24 hours, every day of the week. Visit Kiev Ukraine ate at Under Wonder in January 2017. 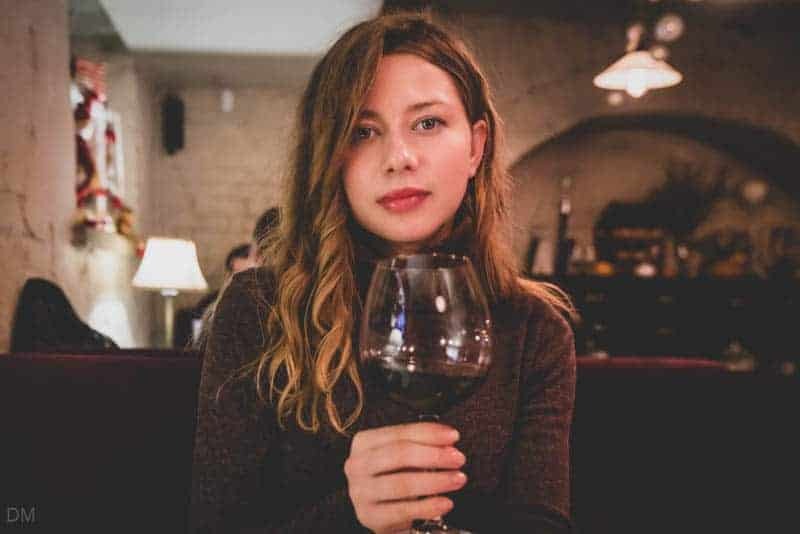 Unlike many other Kiev restaurant and travel websites we pay for our own food and drink. We do not inform staff we are reviewing their restaurant. Map showing location of Under Wonder.